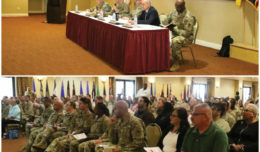 Editor’s Note: This is part one in a series chronicling the history Fort Irwin and the creation of the National Training Center. On Aug. 8, 1940, President Franklin D. Roosevelt signed legislation creating the Mojave Anti-Aircraft Range on 1,000 acres of desolate terrain in the Mojave Desert. The area was chosen because the remote location allowed the U.S. Army to train on the anti-aircraft weapons and artillery that would become the first line of defense during the coming war. The installation was a subsidiary of Camp Haan in Riverside, California, next to what is now March Reserve Air Field. The trip up the Cajon Pass to MAAR was not a pleasant one. As the vehicles crossed into the desert, the heat would become almost unbearable, but it would get worse by the time the Soldiers off-loaded in the High Mojave. Life at MAAR was tough, Soldiers lived six men to a tent, the sand colored canvas blending into the forbidding landscape. The only permanent structures at the time were the Post Exchange, a fire station, dining facilities and the latrines. In 1942 that the reservation received its official name, Camp Irwin, in memory of Maj. Gen. George LeRoy Irwin, World War I battle commander of the 57th Field Artillery Brigade. In 1944 the camp was deactivated. In 1951 the camp was reactivated and became the U.S. Army Armor and Desert Training Center, preparing Soldiers for the war in Korea. Life was a little better in the 1950s. More permanent facilities had be built, including a new headquarters in Bldg. 237, which is still in use today as the garrison headquarters. The sand colored tents gave way to rows of white wooden barracks, still with very little in the way of creature comforts, but an improvement. Another improvement was the Officers Club, Bldg. 21, built by Italian prisoners of war during World War II. It would become the social center of the camp, a small bit of civilization in the middle of the desert. 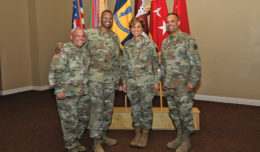 Things at the remote post would continue to improve, more permanent facilities would be built and little by little, the desert camp would be come home for the Soldiers and families that would train the Nations Armed Forces. Photo courtesy of Rodney Beckwith IV. 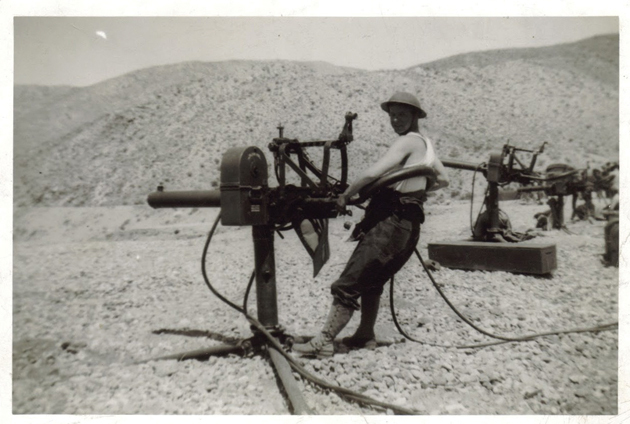 George Bruining Jr. poses for the camera while on the firing line at the Mojave Anti-Aircraft Range, which in 1941 was renamed Camp Irwin. 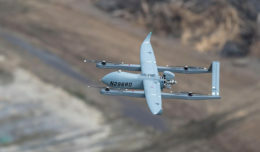 Bruining was one of thousands of Soldiers assigned to Camp Haan in Riverside who traveled to the Mojave Desert for Anti-Aircraft range training. Photo courtesy of Ray Bandziulis. 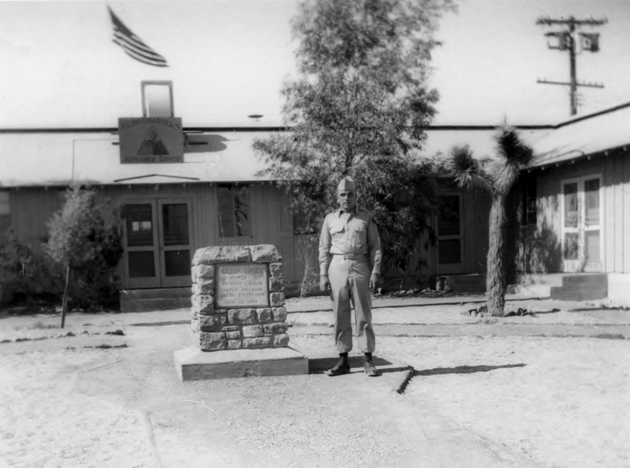 Vytautas Bandziulis, a tank instructor at the US Army Armor and Desert Training Center, poses in front of the Headquarters building at Fort Irwin in 1951. Bandziulis, an immigrant from Lithuania , joined the US Army in Germany after spending 5 years as a displaced person after the Soviet takeover of Lithuania at the end of World War II. Bandziulis would become a US Citizen in 1953.